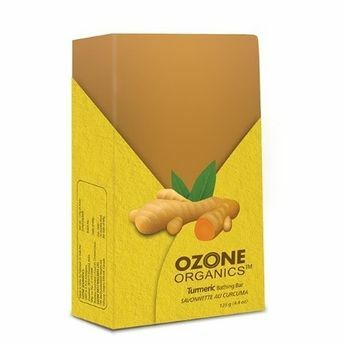 Ozone Organics Turmeric bathing bar with its antiseptic and purifying properties is a natural moisturizer preventing dryness and acne. With its natural anti-bacterial agents it cleanses the skin thoroughly, gently exfoliating the excess skin. And as Turmeric stimulates blood circulation, it makes sure that your skin always looks smooth, flawless and radiant.